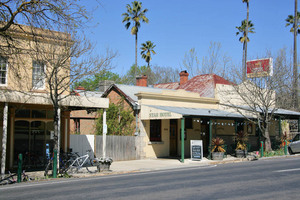 Only 22 km from Beechworth you'll discover the quaint village of Yackandandah. Yackandandah, like Beechworth, had its foundations based on gold. The first strikes were in 1852 and the field progressed from alluvial hand-mining to dredging. Evidence of gold mining can be seen all around the town. The streetscape still retains the verandahs extending over the footpath, and Yackandandah Creek still produces some specks of gold and excellent trout. High Street contains the Post Office (1863) and the Bank of Victoria Museum. The brick villa in Isaacs Avenue dates from the 1860s and is thought to be the boyhood home of Sir Isaac Isaacs, Australia’s first native-born Governor-General. 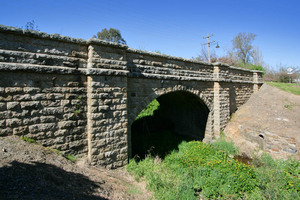 The Stone Bridge also in Isaacs Avenue, was built in 1857 when Yackandandah was on the main Melbourne-Sydney route.